The middle portion of the Swimming Pool / Softball Complex will be closed to "thru traffic" from both sides of the park. 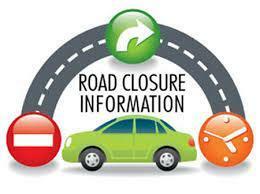 Access closure for parents will be both in the morning and afternoon due to Pleasanton Fire Department service test. Officers will be assigned to divert and make our parents drop off and pick up as smooth as possible.